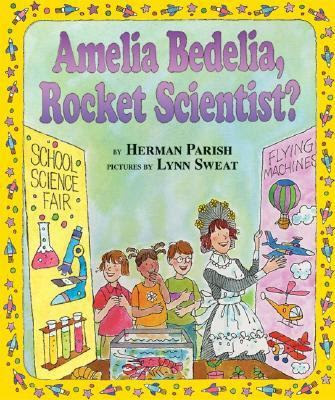 ...and Herman Parish's Amelia Bedelia, Rocket Scientist? For more story themed arts and crafts for children, check out the stART (story + ART) link-ups, at A Mommy's Adventures. What a cute craft! It looks really nice against your wax dripped paper, too! So sad about the end of the shuttle era! The craft is very cute! That is a neat craft. My kids love Amelia Bedelia.